Move marks beginning of post-Ghosn era. The Renault-Nissan-Mitsubishi Alliance is making plans with Waymo to find ways to exploit the ever-changing mobility world. The Renault-Nissan-Mitsubishi Alliance, which is preparing to hang together in the post-Ghosn era, plans to join Google’s camp for developing autonomous taxis and other services using self-driving vehicles. The automakers intend to work with Waymo, a Google spinoff that is among the leaders in technology for self-driving cars. The companies are in the final phase of talks, and plan to announce the arrangement as early as spring, according to a Japanese news service. Rumored GM investment could yet follow. Just a week after announcing a major investment in an autonomous vehicle development company, online retailer Amazon said Friday it will become the lead investor in a new, $700 million round of financing for Rivian, the Detroit-based battery-electric company. 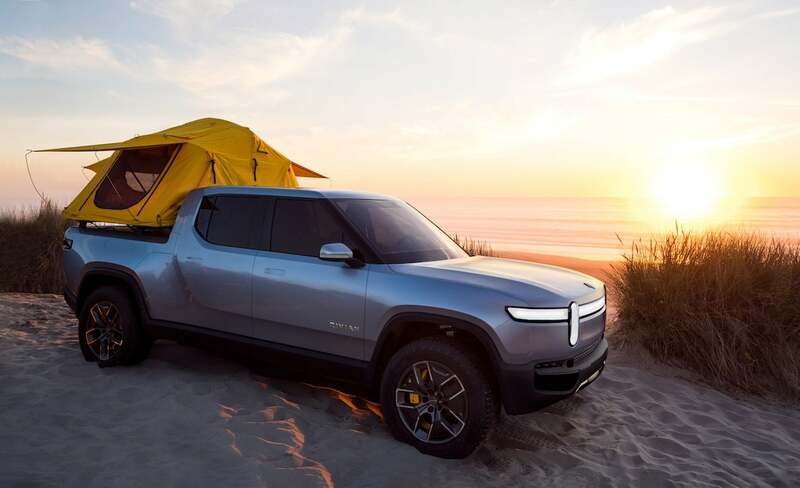 Rivian is in the final stages of developing two all-electric models, the full-size R1T pickup and R1S sport-utility vehicle. It is aiming to challenge not only electric vehicle rival Tesla but the established Detroit automakers that have long dominated the full-size pickup market. Autonomous service starts in Phoenix. This scene may become more common as Waymo One kicks off service in Arizona. Self-driving ride-sharing service is here. 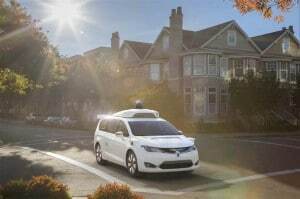 Well, it’s in Arizona, technically, but the day that Uber, Lyft and others have waiting for has arrived with the debut of Waymo One, Waymo’s autonomous taxi and ride-sharing service. The service operates in a 100-square-mile zone covering four Phoenix suburbs: Chandler, Tempe, Mesa and Gilbert. 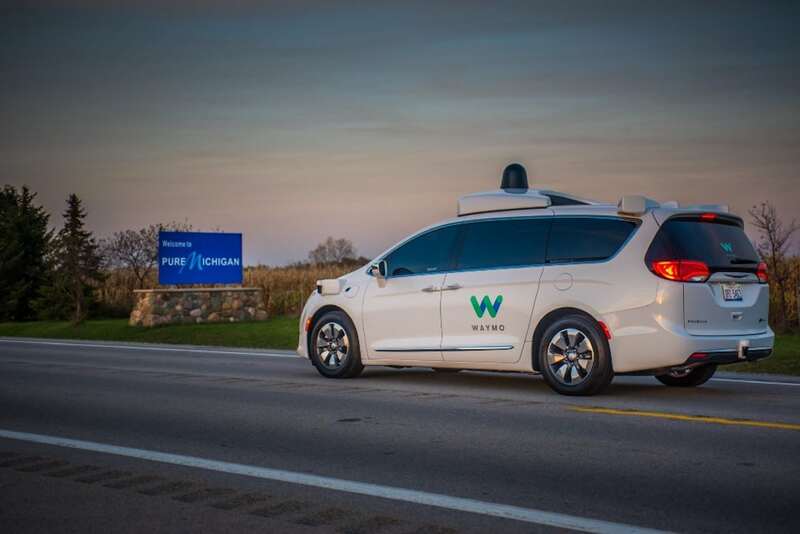 The company has been testing its vehicles in the area since 2016, including offering free rides earlier this year to generate some goodwill for autonomous vehicles. 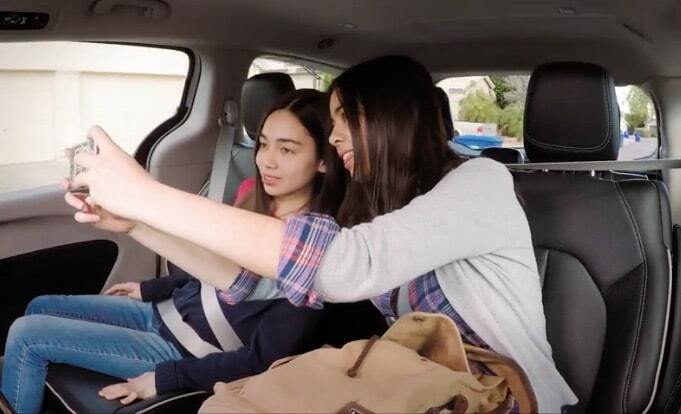 After fatal crash, ride-sharing service plans to redouble steps to ensure safety. 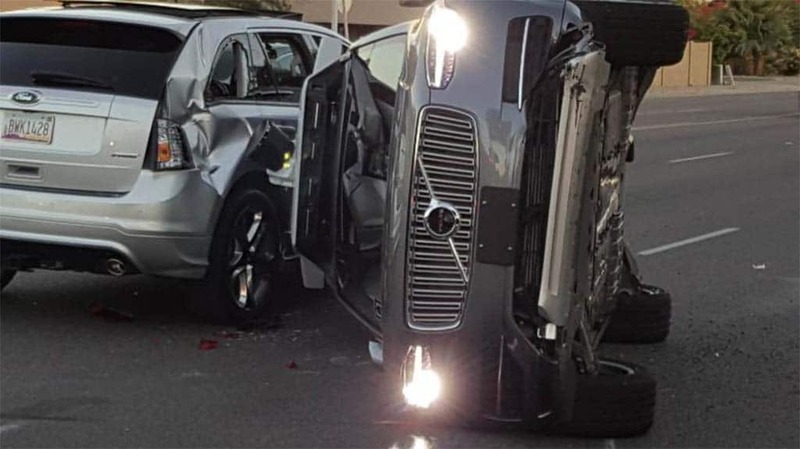 In the wake of a fatal collision with a pedestrian in Arizona, Uber suspended all of its autonomous vehicle testing. Now it wants to resume in Pittsburgh. 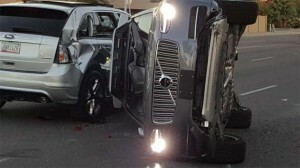 Uber plans to relaunch the autonomous vehicle testing program it suspended following a fatal crash in Arizona last March, but it has advised regulators in Pennsylvania that it will take additional steps to ensure the safety of its vehicles. The San Francisco-based ride-sharing service has been betting heavily on fully driverless technology, hoping it will lower costs to the point where many Americans won’t even feel the need to own a private vehicle anymore. But that effort was put on hold after a modified Volvo struck and killed Elaine Herzberg as she crossed a road in a Phoenix suburb. Disparate reactions to autonomous vehicle testing. 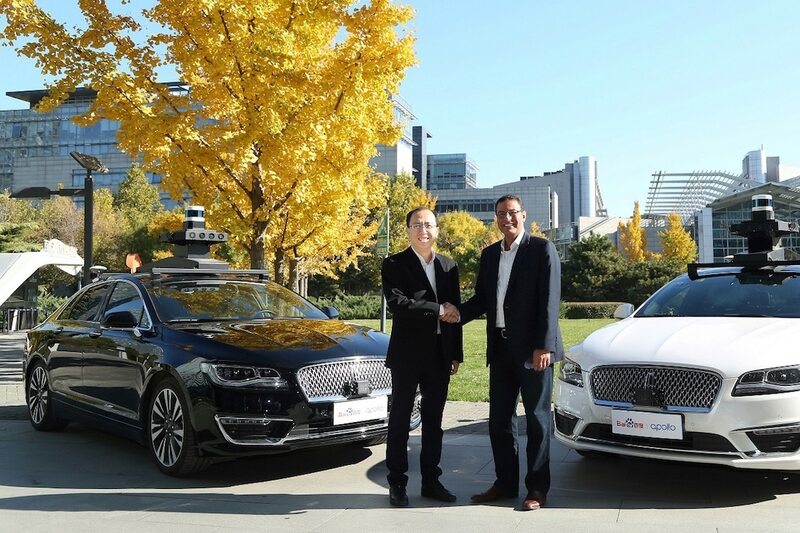 Ford's Sherif Marakby and Baidu's Zhenyu Li shake hands, confirming the new autonomous testing deal between the two companies. Ford Motor Co. just inked a deal with Baidu Inc. to conduct two years of autonomous vehicle testing on the roads of China as Waymo is getting approval to engage in its own self-driving vehicle tests in California despite the protests of watchdog groups. The Baidu-Ford L4 Autonomous Vehicle Test Project is set to begin by the end of this year, the automaker noted. The project will develop and test autonomous vehicles that are designed to meet the Level 4 (L4) driving automation standard as defined by SAE International. Late to the game, FCA races to make up lost time with $30 mil project. Fiat Chrysler Automobiles has invested $30 million to upgrade its sprawling Chelsea Proving Grounds, an hour west of Detroit to expand its ability to develop and test both autonomous vehicles advanced driver assist system technologies. The automaker has been slow to embrace self-driving vehicle technology, though it has been able to leapfrog some of its competitors with an expanding tie-up with Waymo, the self-driving spin-off of Google. The new project will allow FCA to test technology from Waymo and other potential partners, as well as systems it may develop in-house. Mercedes-EQ’s first entry set to target Model 3. Tesla's Model 3 production has been the focus of the company much of the year, but now Elon Musk is going to need to look over his shoulder. Its been a rocky road for Tesla during the past year, the automaker struggling to get production of its critical Model 3 under control. But just as the factory in Fremont, California, gets into gear, Tesla is facing a new problem that could prove equally challenging. Jaguar fired the first shot recently with the launch of its I-Pace battery-electric vehicle. Now, Mercedes-Benz is getting ready to plug in, but rather than target a pricey niche, the electric EQ C crossover the German maker will introduce next week takes direct aim at Tesla’s mainstream-priced Model 3. 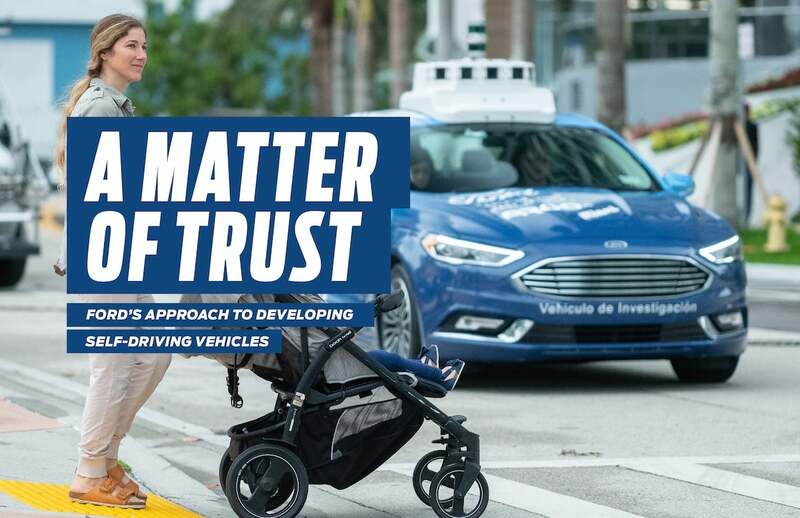 Ford charging ahead with AVs by trying to establish trust. 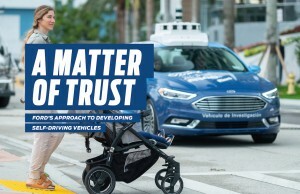 Ford says consumers need to believe they can trust AVs, and that will take time and energy. A new study found that losing control of the vehicle and the threat of computer virus are the two most important reservations or fears consumers have about autonomous vehicles. The study done by the University of Memphis’ FedEx Institute of Technology also found that AVs have yet to break through as status symbols. The study found that improving social status among peers is the least important incentive to adopting AVs. In addition, fewer than 5% of respondents indicated their households are willing to pay an additional $20,000 to add automation and greater connectivity to their vehicle. Set to debut in late 2019 in Silicon Valley. Initially, Daimler will use the Mercedes-Benz S-Class sedan for the pilot ride-sharing project. Mercedes-Benz is teaming up with German mega-supplier Bosch to launch a new ride-sharing service in Silicon Valley next year that will rely on self-driving vehicles. The project marks the latest entry into the fast-expanding field that, by some estimates, could eventually account for as much as a quarter or more of the miles Americans travel by automobile. Other planning to launch ride-sharing services using self-driving vehicles include General Motors, Google spin-off Waymo and Uber, the country’s largest ride-sharing service. Making Sense of the Brave New World! While Mercedes’ parent Daimler AG is referring to the vehicles it will use as “automated shuttle(s),” customers will be able to ride in style. 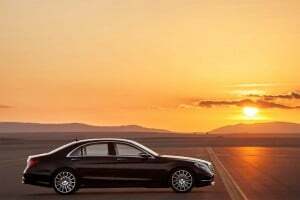 When the project initially gets underway during the second half of 2019, it will rely on modified versions of the luxurious S-Class Sedan. Eventually, the goal is to switch to a production version of the edgy Mercedes concept vehicle, the F 015.